During the "Multiply" tour in Australia, the singer Ed Sheeran found time to make a young couples’ dream come true. The musician surprised the couple Kya and Matt Debono in their wedding party, appearing to play a song that would pack their first dance. The chosen track was the international hit "Thinking Out Loud", which was the favorite of the couple to play at the reception. 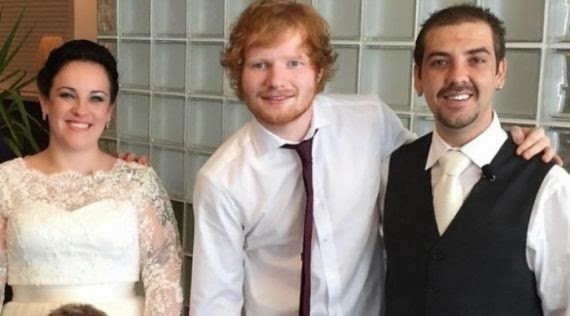 Besides playing the song, Sheeran was to take pictures with the guests and wished happiness and "many babies" for the newlyweds. The singer will visit Brazil next month to perform this and other hits such as "Give Me Love" and "Sing" in three shows between Sao Paulo and Rio de Janeiro.